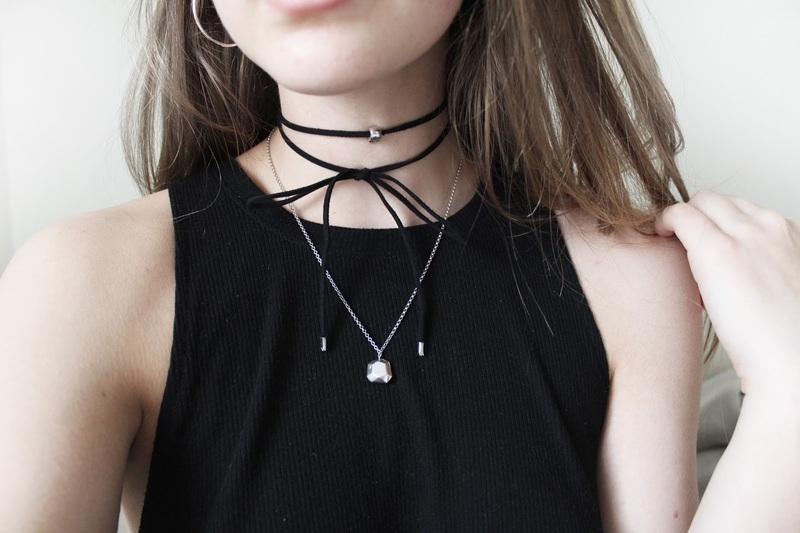 By this point I think everyone knows that chokers are back. 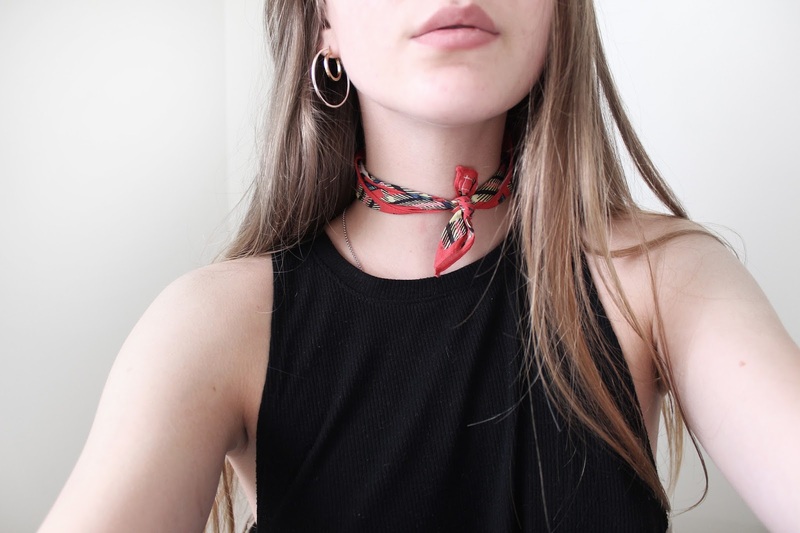 I'm pretty sure my first realization they were definitely going to be in for the next couple seasons was back in October when Lily Rose Depp wore a red fabric choker to the Chanel SS16 show. 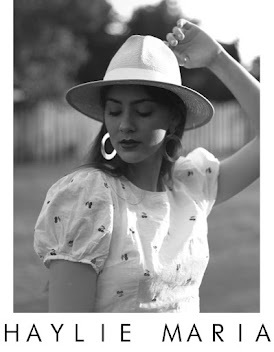 Also the classic American Apparel Choker Top was being seen more and more on bloggers and other socialites I follow and about 4 months ago when I tried to order one online I found that they were sold out everywhere until really recently. 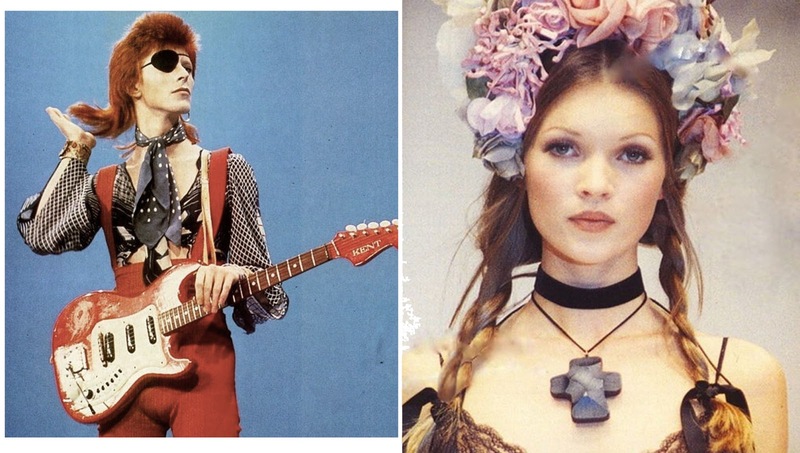 I believe some choker styles are definitely timeless i.e the silk neck scarf seen on 1974 David Bowie below to the left and the velvet choker on Kate Moss for an early 90's fashion show below to the left. 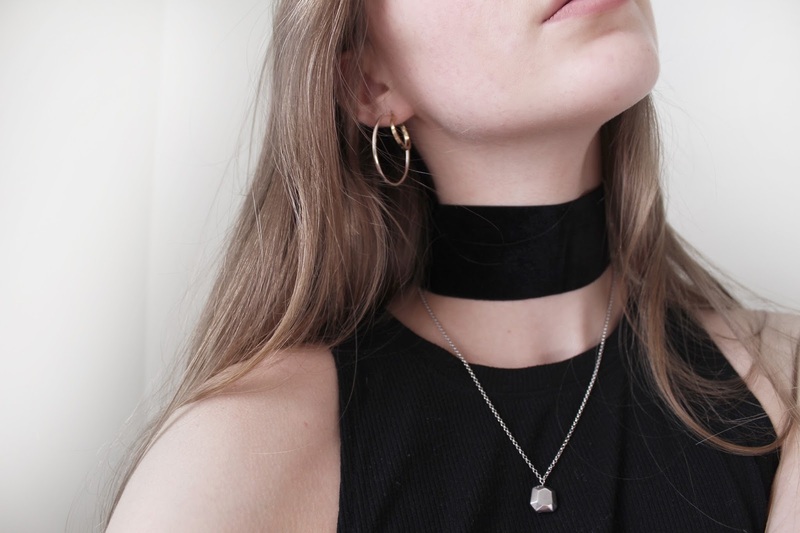 These are only a few great examples of chokers seen in our pop culture through the years, but I definitely think they will always make come backs into fashion in some way, even a couple years ago, gold and silver metal chokers with intricate designs were super popular. 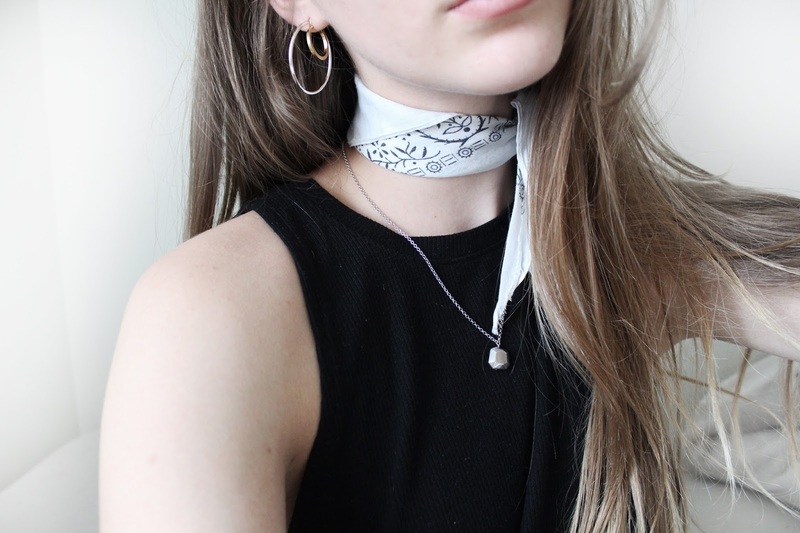 Chokers to me tie-up an outfit incredibly well and add a little edgy touch to pretty much every outfit whether its already all black outfit, or something a little more girly. 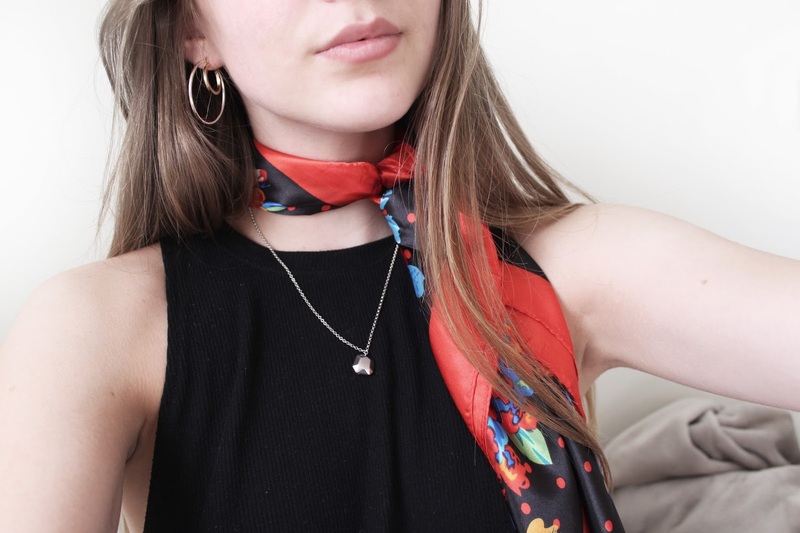 I will be styling all the chokers/neck scarves you see in this post in upcoming outfit posts so stay tuned for actual styling tips with these cute accessories!